PwC has released its Global Entertainment and Media Outlook for 2016-2020, and the report includes projections for music, radio, and Internet advertising. Global E&M spending is expected to rise from $603 billion in 2015 to $720 billion by 2020. The consultant shared some highlights from the global and U.S. editions of the report. The U.S. music market’s value was $15.2 billion in 2015, and is expected to grow at a 3.5% CAGR to $18 billion by 2020. By 2020, the report anticipated that 80% of digital recorded music revenue would come from streaming. 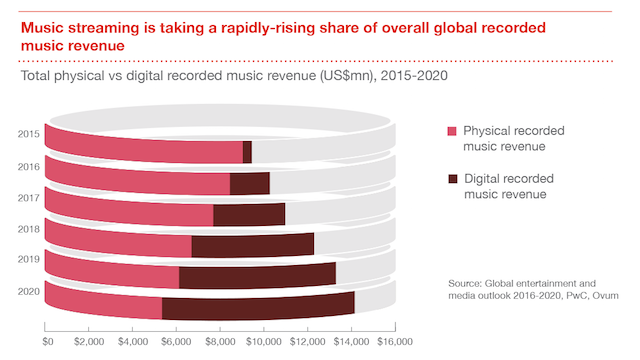 Globally, music revenue is projected to increase at a 2.1% CAGR to $47.7 billion by 2020. Digital sources are a growth driver for the market, and although digital has exceeded physical revenue for the first time in the U.S., it will likely be a few years before the same milestone happens on an international scale. 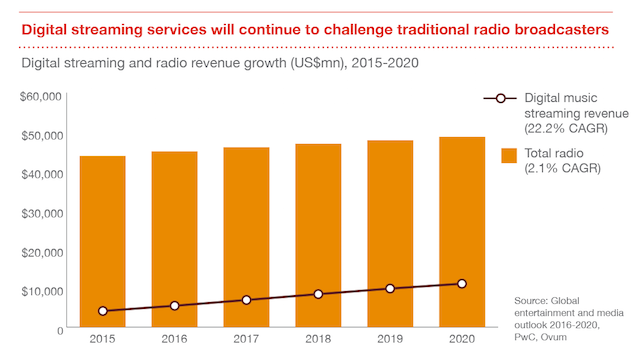 PwC also shared some global stats for radio specifically. The format has 2.1% CAGR projected for the 2016-2020 period, and although it is pulling in much more revenue than digital sources, digital is growing much faster at 22.2%. 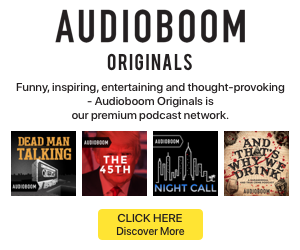 The report noted that radio does face stiff competition from streaming, mobile devices, and from interactive car dashboard technologies. PwC’s outlook has notably improved in both the music and radio categories. Last year’s report set an overall CAGR of just over 1% for the U.S. music market, and the country’s CAGR for digital music was -2% due to large projected declines in downloads and mobile music. Although the new edition still expects downloads and physical formats to struggle, the anticipated CAGR for streaming has gone from 11% last year to 22% this year. Radio’s future is holding close to level from last year. The 2015 edition pegged it at a CAGR of 1.8% in the U.S., while the country is seeing 1.6% in this year’s version. On the ad front, mobile is expected to be the top driver in the U.S. In 2015, it secured 35% of Internet ad revenue at a value of $21 billion. By 2020, the segment is slated to have 49% of total Internet advertising revenue. 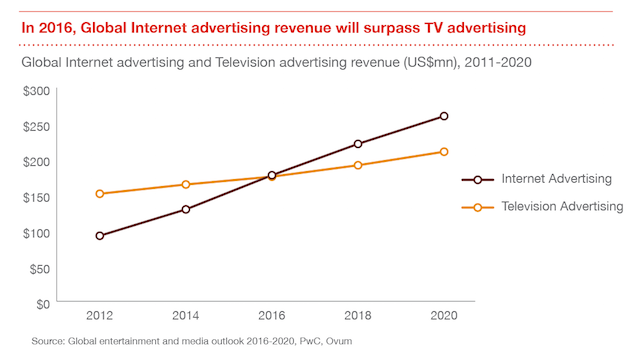 This five-year period is also projected to be the first time that Internet ad revenue exceeds television ads. TV is expected to reach $81.7 billion by 2020 while Internet ads are pegged to hit $93.5 billion. Aggregate spending on Internet advertising is thought to grow 9.4% for 2016-2020. Internet advertising is set to surpass television in the global accounting in 2016. Mobile is set to grow at a 19.6% CAGR to $84.8 billion by 2020, but is still only expected to hold a 32.6% share of total global Internet advertising by that year.